Now I am going to say some things that will upset some folk… yet It must be said… It keeps getting swept under the carpet… so that the party can carry on. 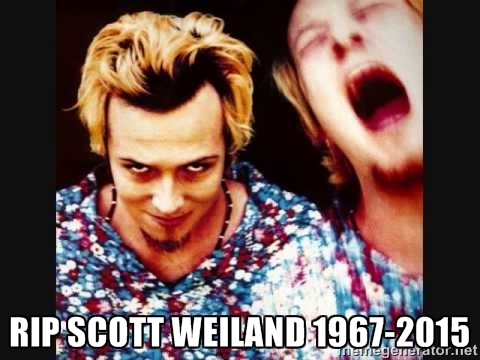 Though an indisputable Icon of Grunge, Scott was a tragically lost soul…. a Train wreak of a person. Scott was the same age as me… 48. His music is an essential part of the soundtrack of my life, yet his death… like so many others is a testament to the fact that he was a follower of unbelievably disastrous values, and yet sadly millions of other lost souls worship these Musical loose wheels… and dance their way down the road to destruction. We could talk about Alice in Chains frontman Layne Stanley, or the miserable fate of Kurt Corbain.> April 5 Sux. 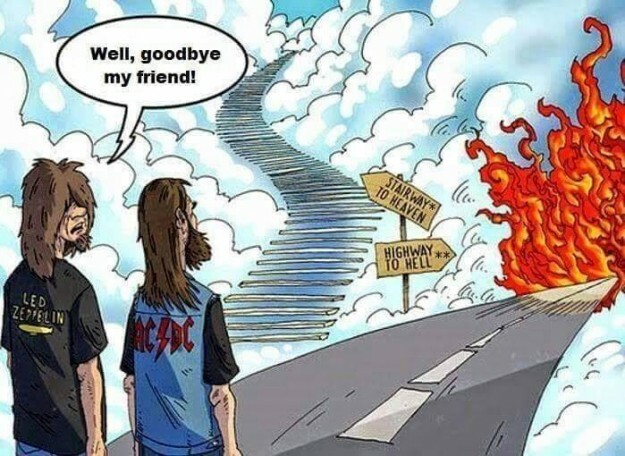 Next week I’ll be going to AC DC… yet sadly Bon Scott wont be singing… he’s on that Highway to hell. It does not have to end like this!!!! 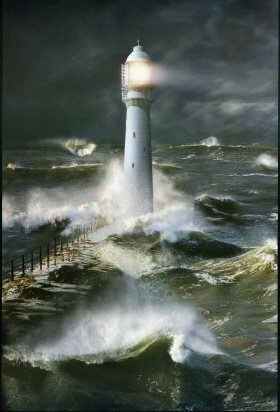 On a much more positive note… Many Rockers survive long enough to wake up from their Drunken stupor and see the light. Alice Cooper… Alice Cooper Goes to Hell. Nek Minnit! Deep Purples Glenn Hughes > Rock legend and good guy Glenn Hughes pays his respects at Ronnie James Dio 4th year memorial. Ex Metallica/ Megadeth’s Dave Mustiane > Megadeths Dave Mustaine is a Christian. Read my story > Jimi vs Jesus. Love music by all means, yet you will not discover the road that leads to life until you free yourselves from your foolish prejudices which keep your minds closed to the truth. Beware that love of the Darkness… you think you are free… when you are in fact slaves. > Nyctophilia: Hiding in the Dark…. What about Jim Morrison, Janis Joplin, Jimi Hendrix,John Bonham, Keith Moon,Brian Jones, or Amy Winehouse? Rehab could not save her. How long will Miley Cyrus last? Many of you now are parents… how can you raise your kids yet leave them without direction… without hope? You cast them out into open waters without a compass. Dont be fools unto the end. Teach your Kids the lessons of the Survivors! Those great and fortunate souls who realised in time that even being among the God’s of Rock is nothing but death without Jesus Christ. The Bible is wonderfully true to those who learn the Truth in time…. terribly true who learn it too late. My Testimony > Do you believe you have the Perfect Word of God? Theism vs Humanistic Rationalism. Seeing The Light! My Testimony. It is my hearts desire to help anyone who seeks answers to their questions… to their perceived critisisms of the Bible, yet only a truly open mind and heart is fit to receive the truth. Closed minds and hard hearts are beyond reach. To anyone disturbed by the carnage of Rock and Roll, and it’s effects on their youths… Seek! “And ye shall know the truth, and the truth shall make you free”. Jesus Christ. John 8vs 32.
more from me>>> Hell is for the Self Righteous, Heaven is for Sinners. They may have to learn what the lost world is like the hard way… yet like Blackie Lawless… they can return home. Previous PostAnti-Terrorism at its finest. The Road out of darkness into the light.Next PostWhy Motorcycle helmets are Cool. 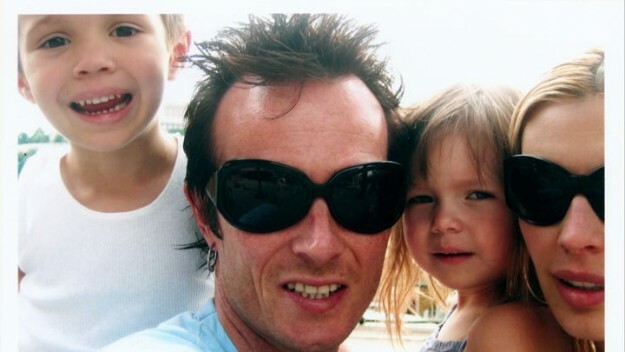 O Lord, the only Creator, who in the depth of Your wisdom provide all things out of love for mankind, and grant unto all what is profitable: Give rest to the soul of Scott Weiland, for You, O God, made him and fashioned him. Pardon all his transgressions both voluntary and involuntary, whether in word, or deed, or thought. Shelter him in a place of brightness, a place of verdure, a place of repose, where all sickness, sorrow and sighing have fled away, and where the sight of Your countenance rejoiceth all the Saints from all the ages. Grant him Your heavenly Kingdom, and a portion in Your ineffable and eternal blessings, and the enjoyment of Your unending Life.